Due to popular demand, Linux builds of the Compressonator SDK libs and command line application are now available in the release package. You could also build for MacOS on your own. 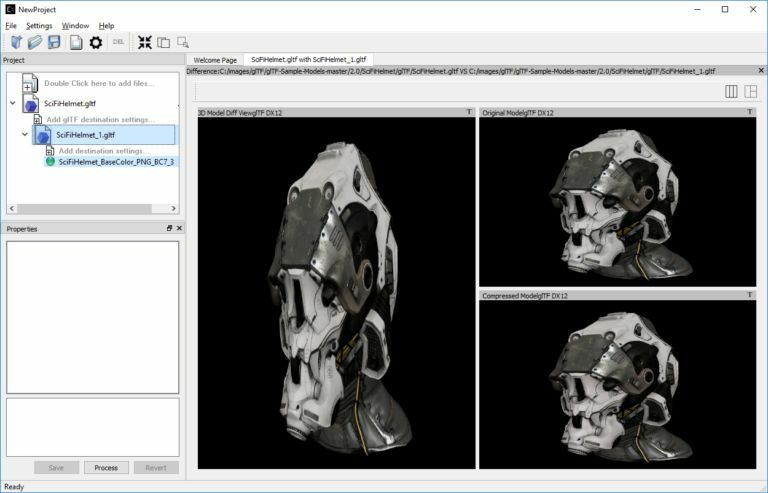 The Compressonator GUI application now supports loading of glTF v2.0 3D models and rendering through DirectX12 API. The 2D texture assets within the glTF model can be compressed and analyzed by Compressonator.